I've done it! I've reviewed the new LEGO set with the largest piece count since 2008's Taj Mahal! For sake of reference, this has twice as many parts as the modular Fire Brigade set and 50% more than the Super Star Destroyer. LEGO Ghostbusters HQ 2-minute Speedy Build! LEGO Ghostbusters HQ 10-minute Speedy Build! Over the weekend I separately edited & published two different lengths of fast-motion builds to see if viewers had a clear preference between a quick "wow" factor and a somewhat easier to follow build. Surprisingly, every metric was evenly split between the two, including viewership, comment engagement, and like/dislike ratios. More people skipped forward on the 10-minute version, but I definitely didn't get an answer as to which was preferred! Interesting. I suppose I'll have to try the same experiment with some other sizes of builds. At any rate, enjoy the review and please leave a comment here or on the video with your thoughts about the set itself. I kind of wish that in this review he romanticized the set a little more... I mean, it is the biggest Lego set ever! I just wished he viewed the set in a different way, like the Death Star, for example. Whatever. I still hold the same opinion. I prefer the faster version. 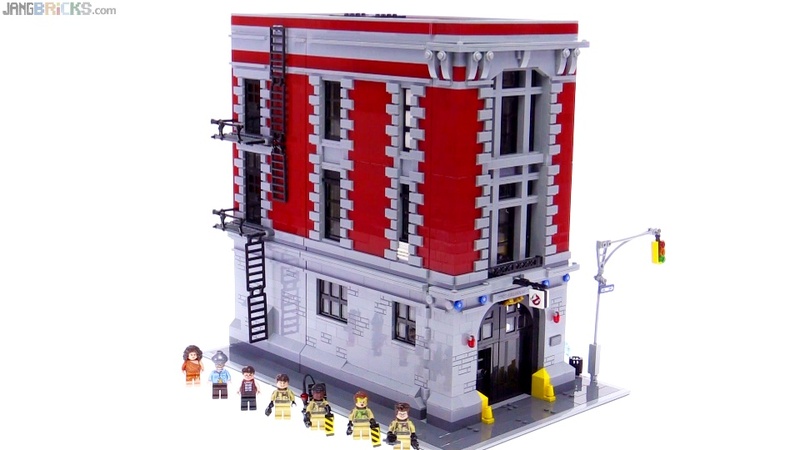 I have never seen Ghostbusters, but it is a cool set. I'm going to buy this set!